The sender’s name is typically the most important element of your fundraising emails. 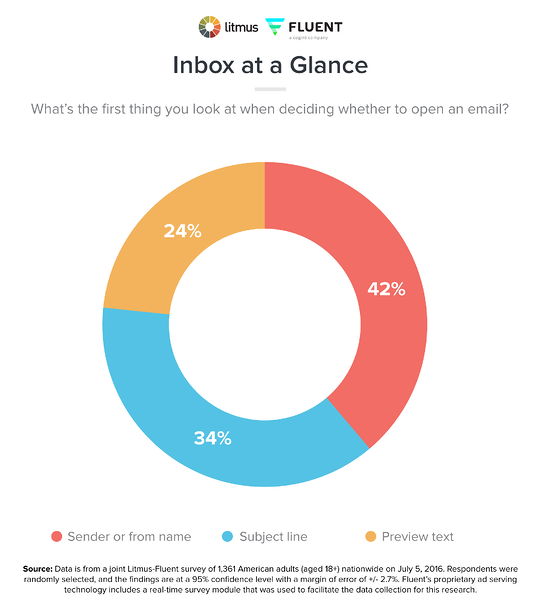 You will see an increase in open rates if the sender’s name in the email appeal really resonates with your donors, and if they feel a personal connection to them. For example, this could be your organization’s Executive Director, a well-known board member who is very active with your nonprofit and who is deeply involved in the movement, a celebrity who is connected to the movement, etc. The best way to find out which sender will move your donors is to test it. Remember: fundraising is about relationships, not advertising pitches. Don’t treat them like an ad. Good subject lines that set expectations for what the rest of the fundraising appeal is about is another important strategy. Over the years, some nonprofits have tested all types of subject lines to trick donors into opening up their emails. Nobody likes to feel duped so be honest in your subject line content and you will see an increase in your conversion funnel. 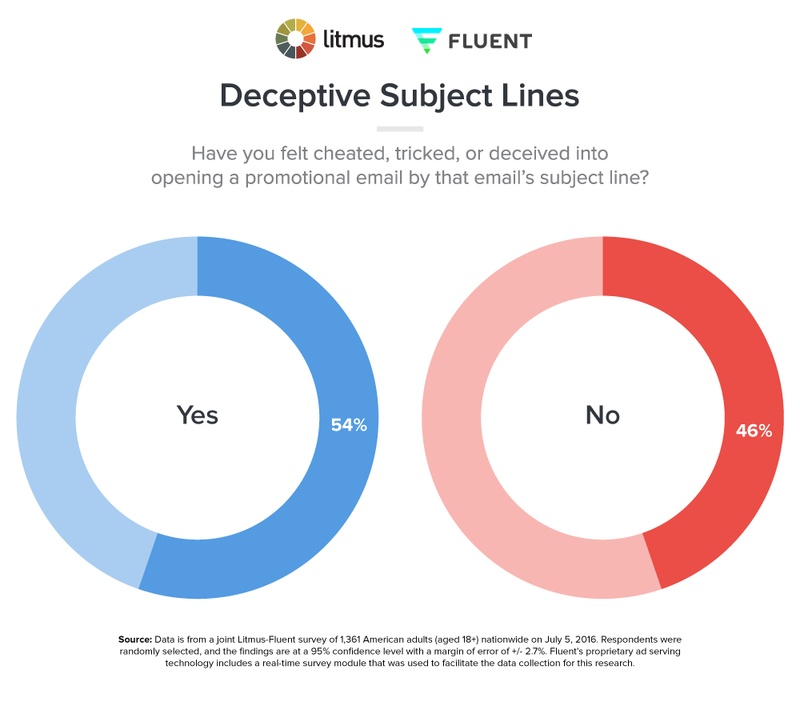 According to a Litmus-Fluent survey the majority of people who have opted into email communications have regretted it. This costs your nonprofit conversion and future open rates as subscribers may stop reading your email and unsubscribe. Determine how your subject lines will increase conversion rates. Sometimes the subject line is the last thing nonprofit teams think about before they send out an email appeal and they don’t put a lot of effort into making this important content really strong. That’s a big mistake. Good subject lines connect with people who are interested in taking an action. Connect the dots for your donors and you will see more conversions. Even if you're being honest in your subject lines, don’t always go for those that are the most provocative or most clever. Focus on telling it like it is. Focused and to the point can win over subject lines that leave people hanging - I.E. "You Won't Believe What Happened Next." A subject line allows donors to determine whether opening and reading your appeal is worth their time, so make sure it's crystal clear. By implementing these strategies in your email appeal series, you will be on your way to boosting email conversion rates and decreasing email list churn.